此文章於 2018-12-29 04:24 PM 被 aya0091 編輯. 此文章於 2018-12-29 05:20 PM 被 yamakawa 編輯. Some of your benchmark results seem way off. 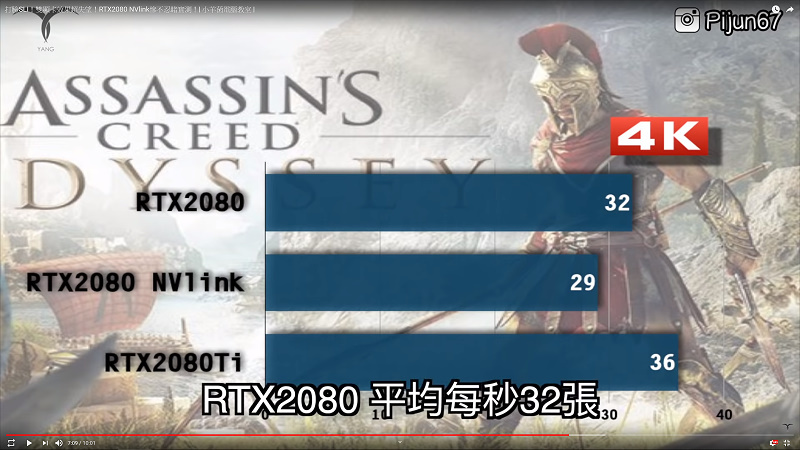 I don't understand where he gets the values for... for SLI in AC: Odyssey?!?!?! I had two 1080 ti's and couldn't get them to work in that game. 此文章於 2018-12-29 06:50 PM 被 aya0091 編輯. 此文章於 2018-12-29 07:04 PM 被 yamakawa 編輯.